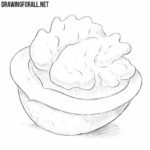 We decided that drawingforall.net was not useful to you. 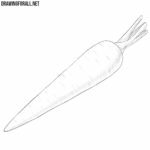 So today we will draw a very useful vegetable. We are talking about lettuce. 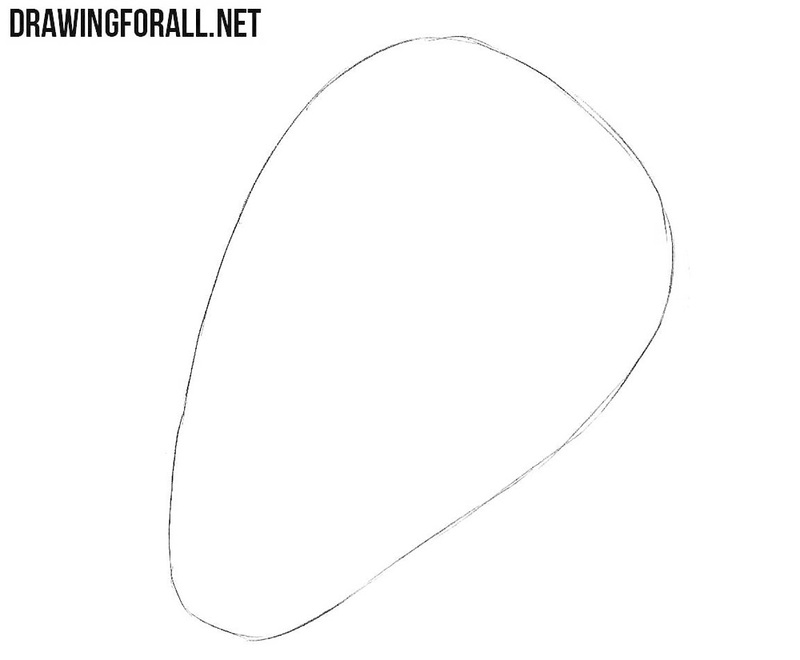 Speaking seriously, this will be another drawing tutorial for beginning artists. 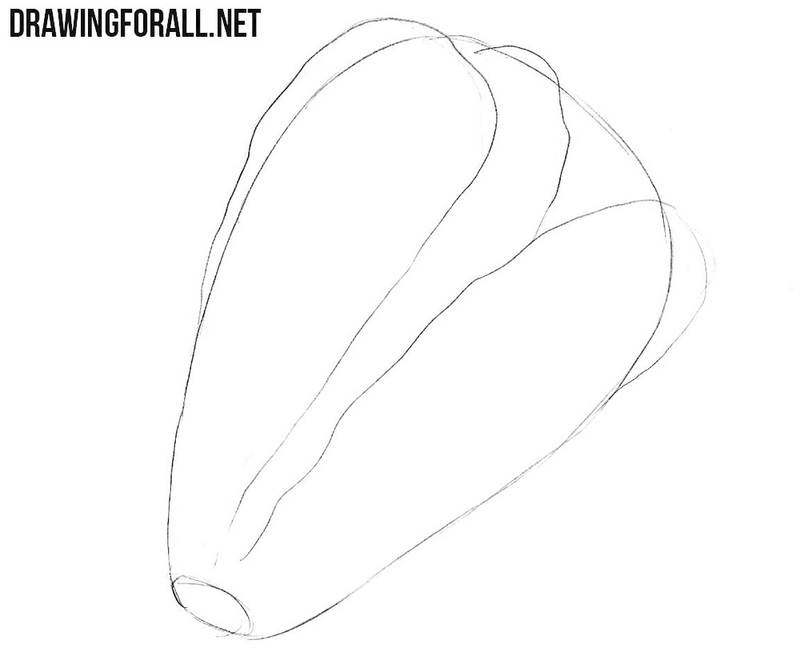 So let’s start this drawing tutorial about how to draw a lettuce step by step. 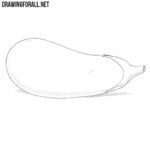 To begin, let’s draw the rounded outline of the vegetable. This figure tapers smoothly downwards. Use the most light lines, because in the future we will have to erase all the drawn lines. We hope that you will not encounter difficulties when drawing this simple figure. It’s very good that we don’t need to draw lettuce in the cut. We would have to draw a lot of leaves. But in this case, we simply sketch out the contours of large leaves from the outside. Here we also need to use very light and winding lines. Make the outlines of the leaves uneven as in our sample. Erase all the extra lines from past steps. 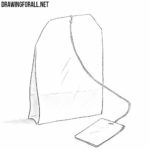 Using a variety of long and winding lines, draw veins on the surface of the leaves. Now we on the final step in which we will sketch shadows. In our case they look like areas of wide hatching. When drawing shadows, consider the bends of the leaves and their location. We are sure that this lesson was very simple, and all our readers will be able to cope with it. But from time to time under such easy lessons we see comments that this is a difficult guide. If you also find this lesson difficult, then write what caused you difficulties, and we will try to fix everything and make sure that the next lessons will be even easier. If, on the contrary, you want more complex lessons that will challenge your skills and take them to a whole new level, then go to the categories called “People” or “Cars”. 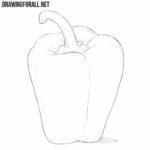 We are sure that in these categories you will find a lot of interesting and challenging drawing lessons. We wait for meetings on our site’s pages. 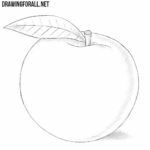 Don’t forget to read us – we create new drawing lessons every day.